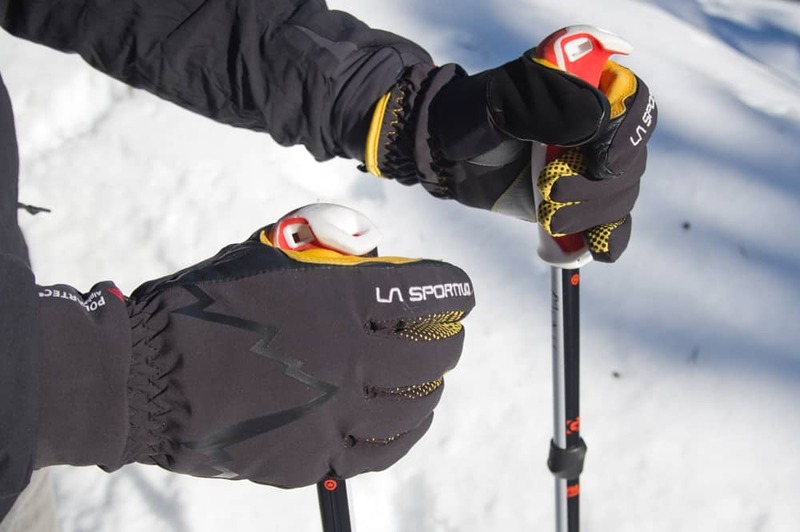 The VIA Carbon pole from G3 is exactly what a ski touring or mountaineering pole should be. And while G3 may not yet have the brand recognition of some of the larger companies, when it comes to backcountry ski touring and mountaineering they’re on the cutting edge! I’ve been testing a few of their products this year so you can expect to see several reviews come from it. But to start, I wanted to talk about the VIA Carbon. Handle specifically designed for use with tech bindings! 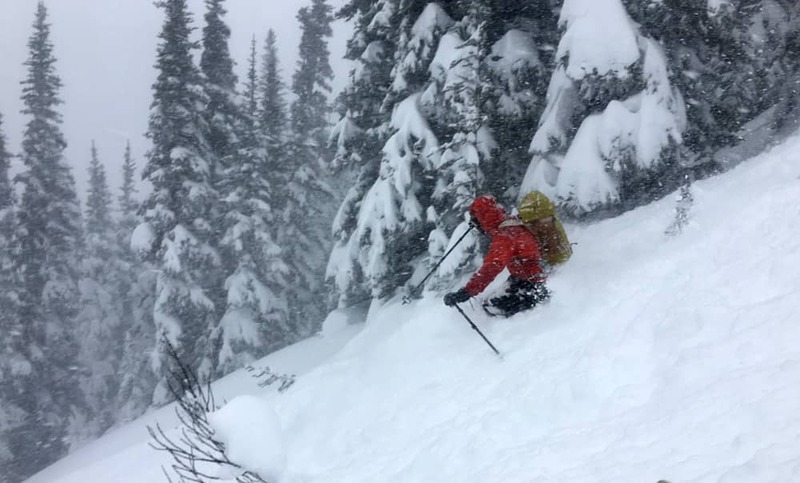 Playing in some deep pow behind Blackcomb BC with the VIA Carbon poles. When I started using the VIA Carbon poles it was immediately apparent that a lot thought had gone into them. I now consider them to be the best backcountry ski pole I’ve ever used. But what makes them so good? Basically it’s all the small little refinements that together create a great product. Some become apparent when a useful feature’s there when you need it while others only shine when compared to other poles. I touch on a few of my favorite features below. 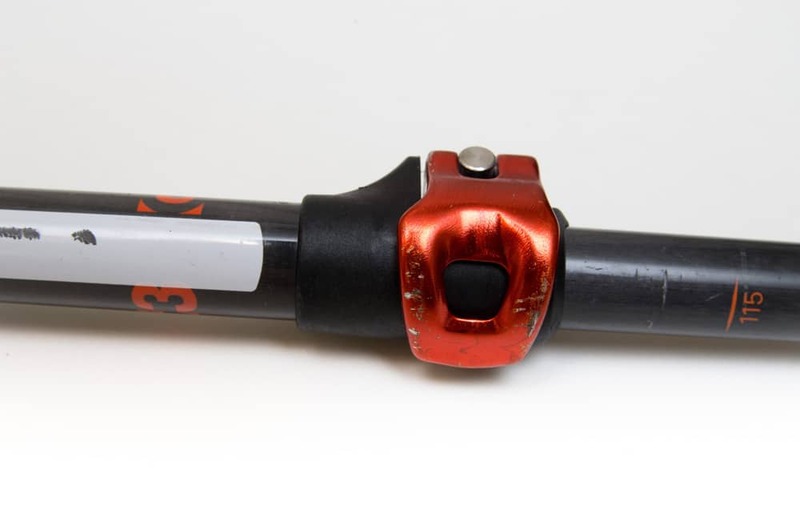 The aluminum extension lock on the VIA Carbon (and all G3 poles) is set-up such that it will not open when skiing. Basically, in the closed position the tip of the lever is in the 6 o’clock position and opens counter-clockwise. 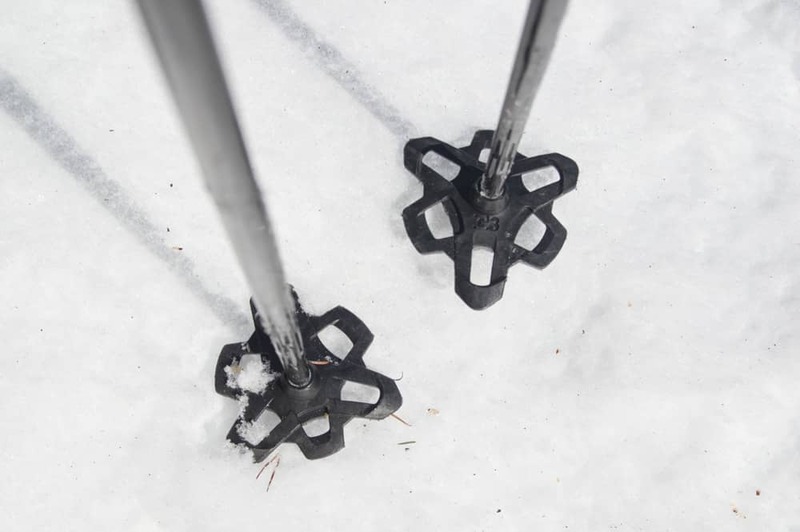 When skiing though trees and bushes any branches that contact the pole push the lever into the closed position. Simple right! This is not the case will all ski poles though. The BD extendable poles for example have a similar lock that opens in a clock-wise direction from and the lever is in the 12 o’clock position. Any brush that rub the pole opens the lever in which case you risk losing the bottom half of the pole (I speak from experience here). The aluminum extension lock on the VIA pole. The handle on the VIA carbon has a prominent hooked nose, as do all G3 poles for that matter. Specifically designed for tech bindings this hooked nose works great to flip heel lifts and the toe binding lever. Note the hooked nose for heel lifts and toe lock as well as the removable wrist strap and the handy eyelet at the bottom. 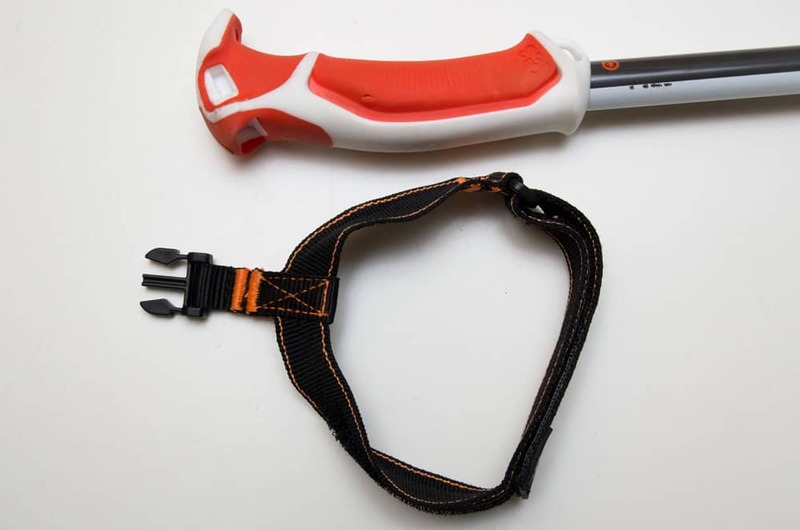 The clip-on and off wrist straps make it quick and easy to remove the straps when not needed. While I personally don’t use wrist straps I like this feature as they can be easily removed when in avalanche terrain so they’re not in the way. There’s a small eyelet on the bottom of the handle that was designed to be used as a clip point for gloves that need drying or to tie down a tent. I found that it worked great to hang my thermometer from when taking air temperatures in the backcountry where most poles have nothing to clip to. Regardless, it’s one of those features that’s handy if you want it but doesn’t detract in any way from the poles if you don’t. Now I’m not sure if it was intentional but the white sides to the poles are great for writing your name on! No more rooting through poles in the morning looking for the right ones or, worse, finding that someone else has grabbed yours by mistake. Typically people purchase a carbon fiber ski pole to reduce weight. And while the G3 VIA Carbon poles aren’t the lightest out there, they’re still on the lighter end of the spectrum. I still prefer the G3 poles though as many of the lighter poles just don’t have the well thought out feature set found on the VIA’s. Overall: I just love how well the VIA Carbon works in the backcountry. 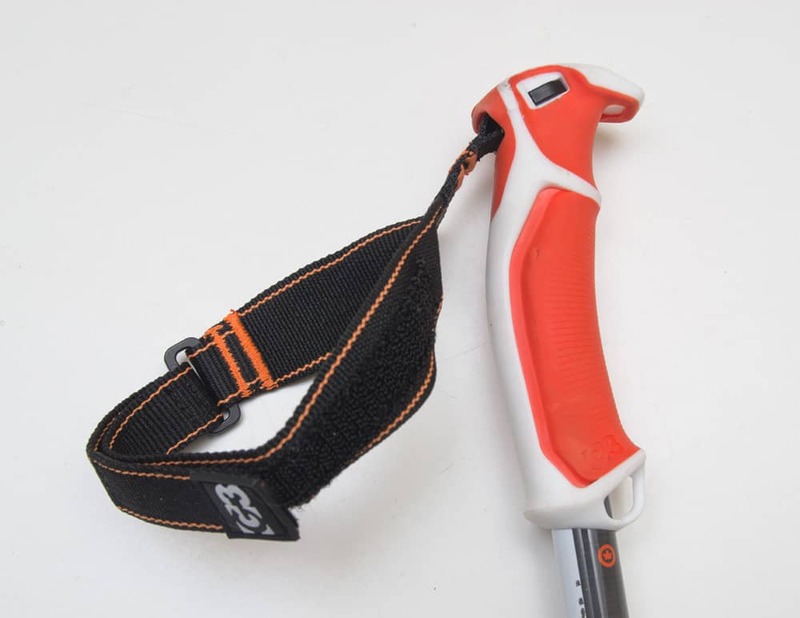 If you’re looking for a high quality, lightweight ski pole this is it! Thanks for Bonsta.ca for the product shots and G3 for supplying a set of the poles for testing. Of course this has not influenced our review in any way. If you have any questions or comments let me know!